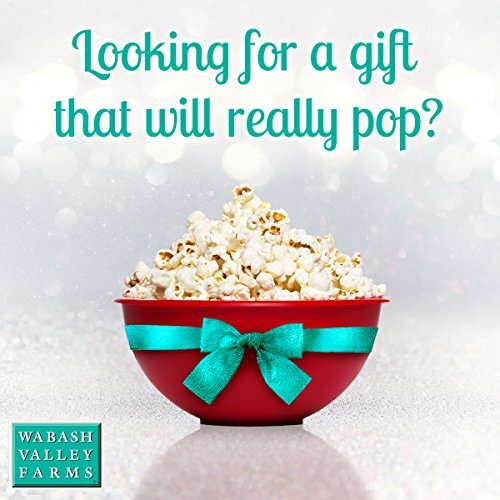 Let your gift be poppin’ with good news and an even better item this time. 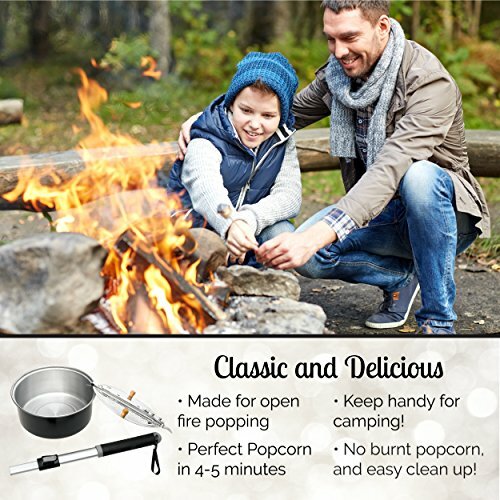 This portable popcorn popper is just what your friend or family needs for an outdoor movie adventure (it doesn’t even matter if the “campfire” is happening at the backyard). 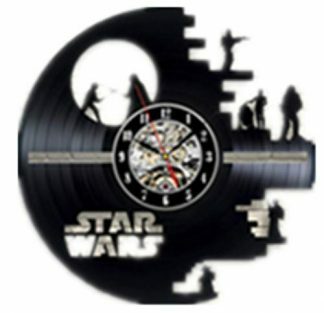 This thing will make movie nights more fun for the young ones and those young-at-heart. 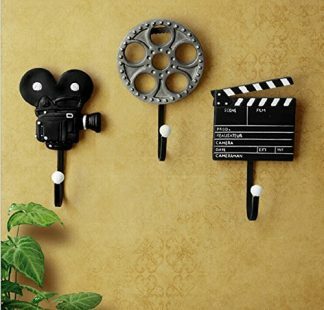 Ready to add some poppin’ fun to your movie nights? 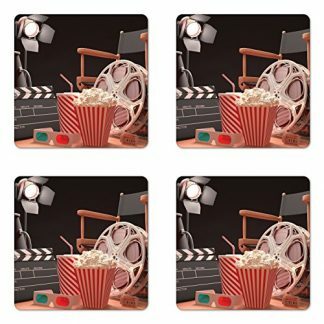 While movies and popcorn are as great a tandem as any other, you can level it up by having an outdoor movie night with some open fire popcorn! 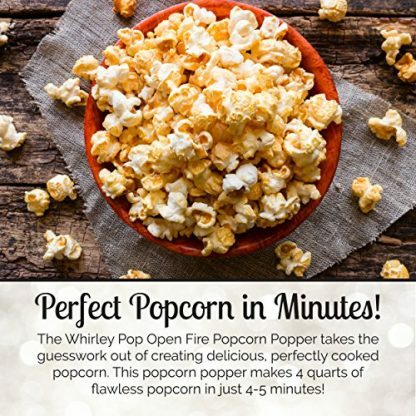 The Whirley Pop Open Fire Popcorn Popper is lightweight, but durable enough for outdoor use. The popper is made with good quality aluminum, thin enough for it to heat faster and get popping four quarts of delicious, fluffy, and evenly cooked popcorn in four to five minutes. 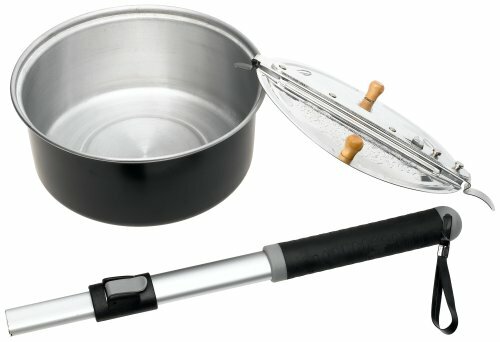 It has a crank with nylon gears that turns smoothly, with little effort required for evenly cooked popcorn. Plus it has wood clad handlers on its lid to make opening less of a hot mess. It can be used over open fire pits, over the fireplace, and even on a grill. The Whirley Pop Open Fire Popcorn Popper kit comes with everything to create yummy gourmet popcorn. It includes five Real Theater Popcorn kits that contain fresh popping corn, and some of the Whirley Pop secret buttery salt and gourmet popping oil. 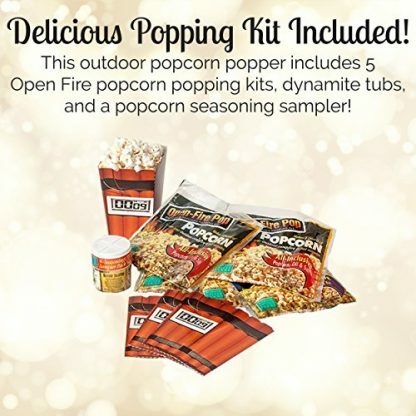 The kit also includes some Whirley Pop popcorn seasoning samplers that include the following flavors: Movie Theater Style, Creamy Ranch, Buttery Jalapeño, and Zesty Cheddar Cheese. This is the perfect gift set for any popcorn eating machine person. 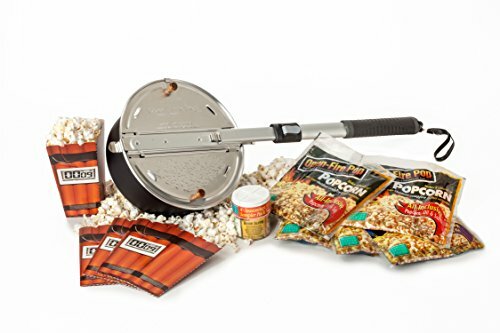 It has everything that is needed for a perfect outdoor popcorn adventure. It is mess free, with everything already pre-measured and packaged in the kit. Plus, the popper is super easy to clean, with a wipe from a paper towel, and it is good to go for its next use. 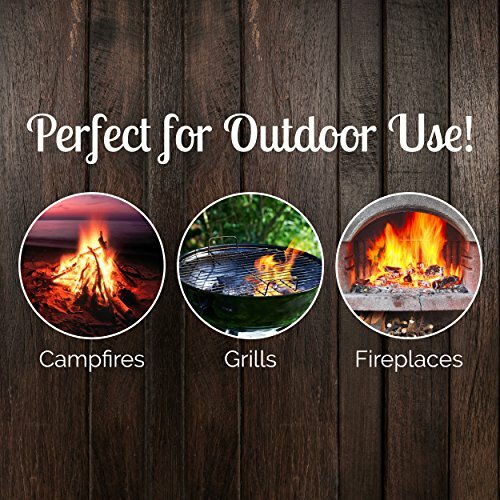 It is the perfect addition to any camping trip, backyard barbecue, or even just a warm, cozy night inside the house by the fireplace.